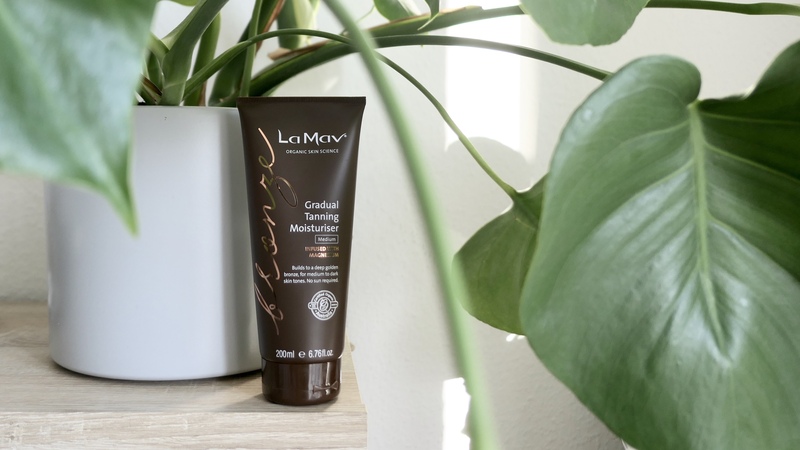 I’ve been trying out this La Mav Gradual Tanning Moisturiser for the last little while now and I have to say its a pretty great natural sunless tan! 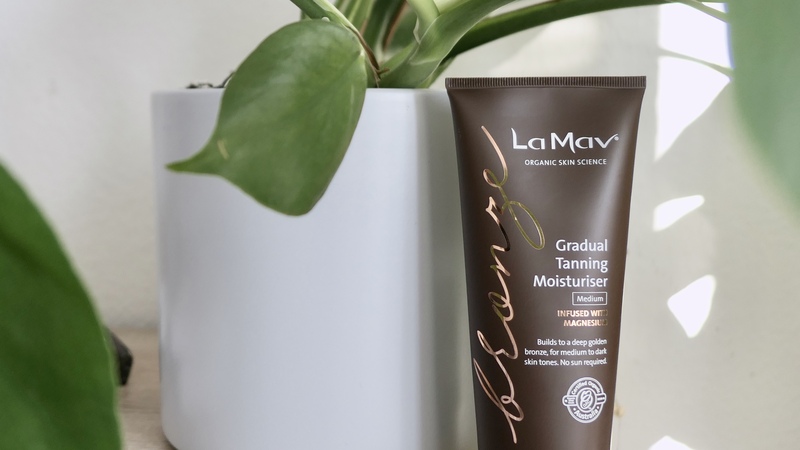 La Mav sent me a couple of products to try out and I wanted to share my thoughts about this Gradual Tanner with you. (Yes, they sent it to me. No, they didn’t pay me or require I review the products – just full disclosure). For me, pretty much all of these things have been true so far! This product is 100% natural, vegan, cruelty-free, 74% certified organic, Australian Certified Toxic-Free, and made in Australia. It is a light, cream moisturiser which absorbs quite quickly. It has been infused with magnesium which is a vital mineral for your body’s function. 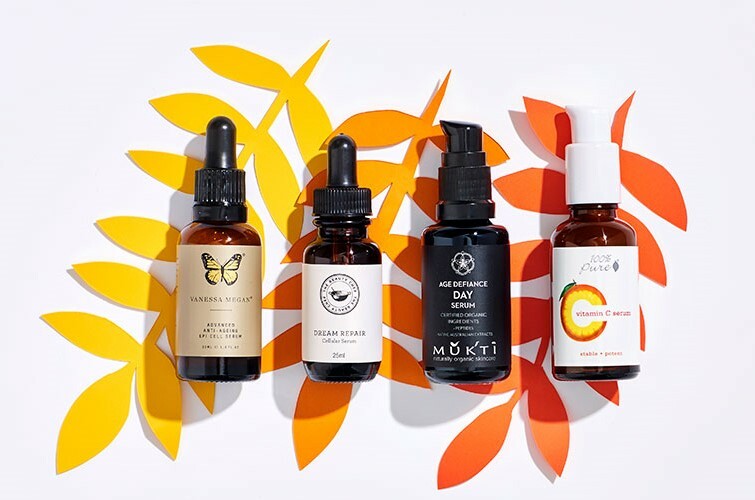 And yes, it can be absorbed through the skin, you don’t just have to take a supplement – sometimes it is far more effective when applied topically rather than taking it orally. It is vital for proper function of muscles, protein synthesis, and blood glucose and blood pressure control. 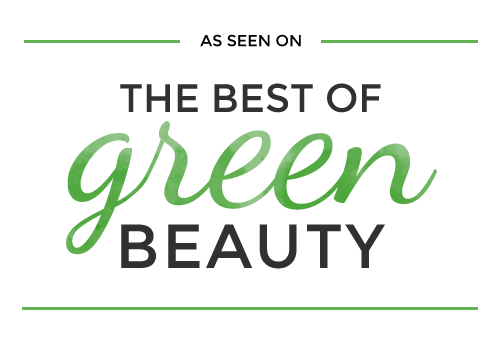 Most importantly – for those of us interested in natural beauty – magnesium facilitates collagen production. i.e. it helps to prevent premature signs of aging. It doesn’t really smell like anything at all. Perfect for those that don’t like the smell of anything lingering on their skin. And even better since you don’t get that revolting “fake-tan” smell during the process and after. I remember using those conventional gradual tanning moisturisers years and years ago and ugh the smell! None of that here! These images are from about 12 hours post application. Just one layer applied after I showered and exfoliated. Though the difference is subtle, it’s definitely there, and obviously not Dorito-Orange. Be sure to wash your hands afterwards though! I obviously rubbed my arm at some point (I was only tanning my legs) and so I had a nice tan patch! It definitely works! You can build up the layers over the days; I don’t like to go too over the top with my tan, and I don’t think you really could with this product. My skin is pretty normal; never really super dry (for the most part), I think this would suit pretty much any skin type. Just make sure to exfoliate well before application, I could see it maybe gathering around peely-bits. I really like the sunless tan that you can get from this product, I’m very happy with it and will certainly continue to use it! 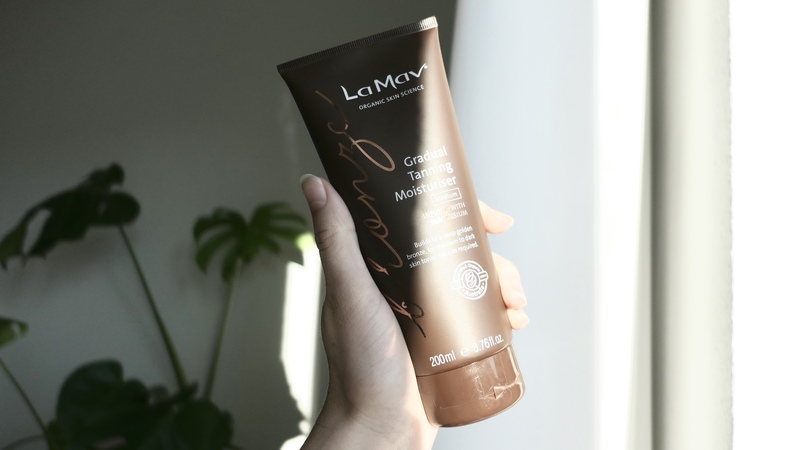 Anyone else tried out this gradual tanner? !